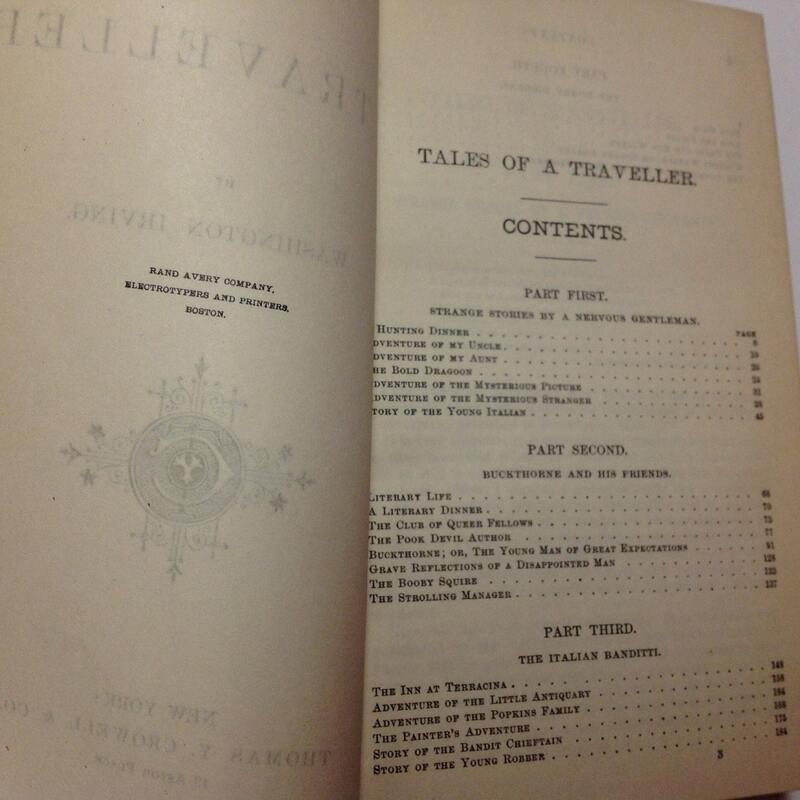 Tales of a Traveller, undated, Ca 1840. This is a collection of essays and short stories written by Washington Irving while he was living in Europe, primarily in Germany and Paris. He published the book originally under his Geoffrey Crayon pseudonym. 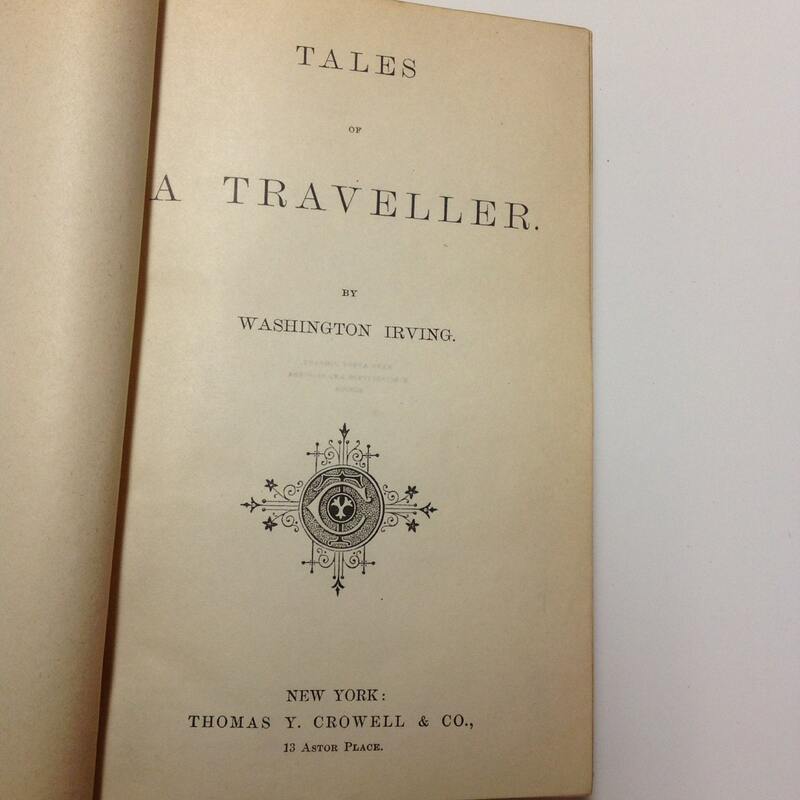 This edition published in New York by Thomas Y. Crowell, 13 Astor Place and seems to include the entire work. Printed in Boston by Rand Avery. Condition is very good as shown with rubbing to the boards and corner bumps. 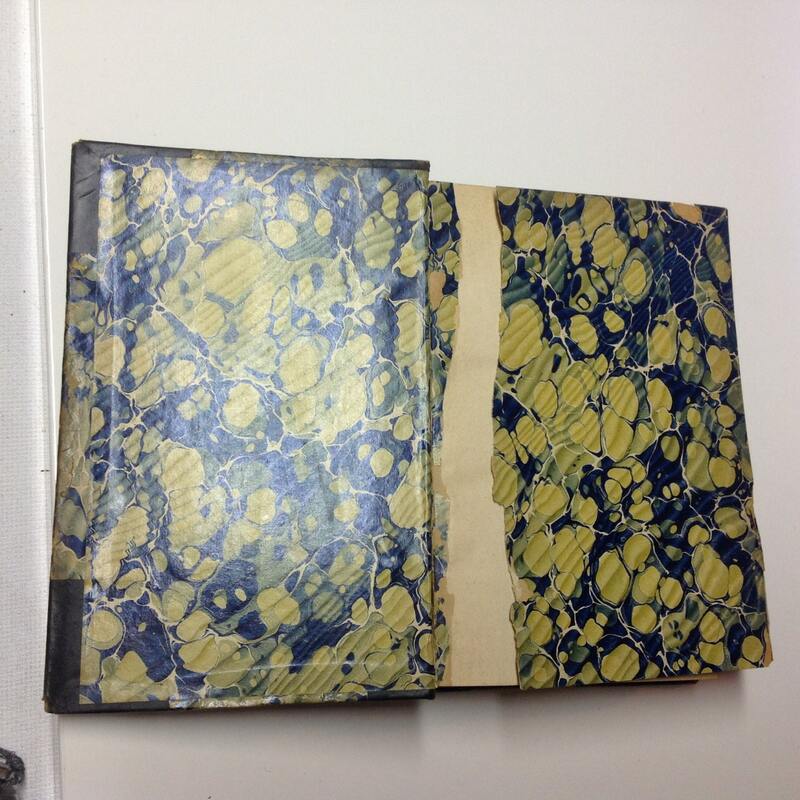 The marbled FFEP is torn as shown. 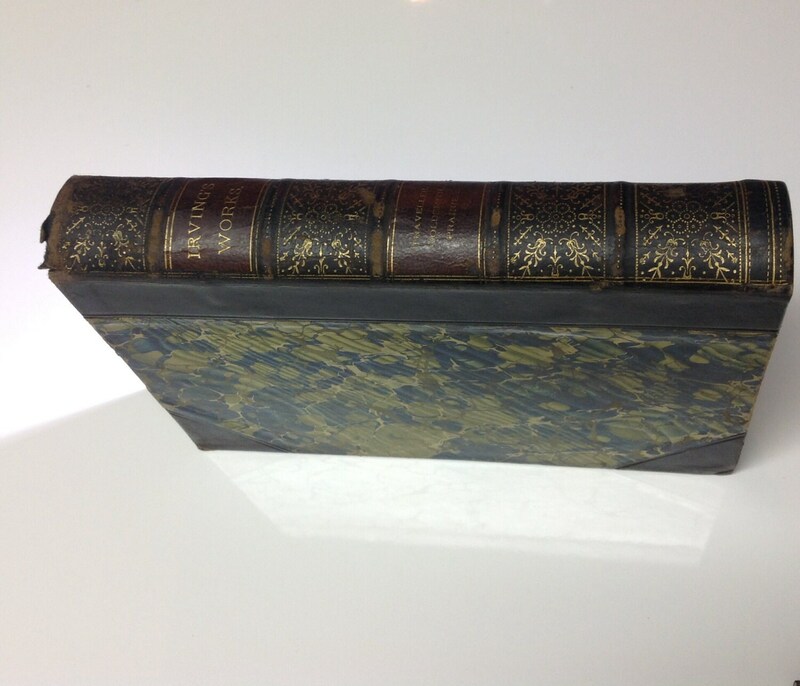 Otherwise, very sound binding and in good readable condition. 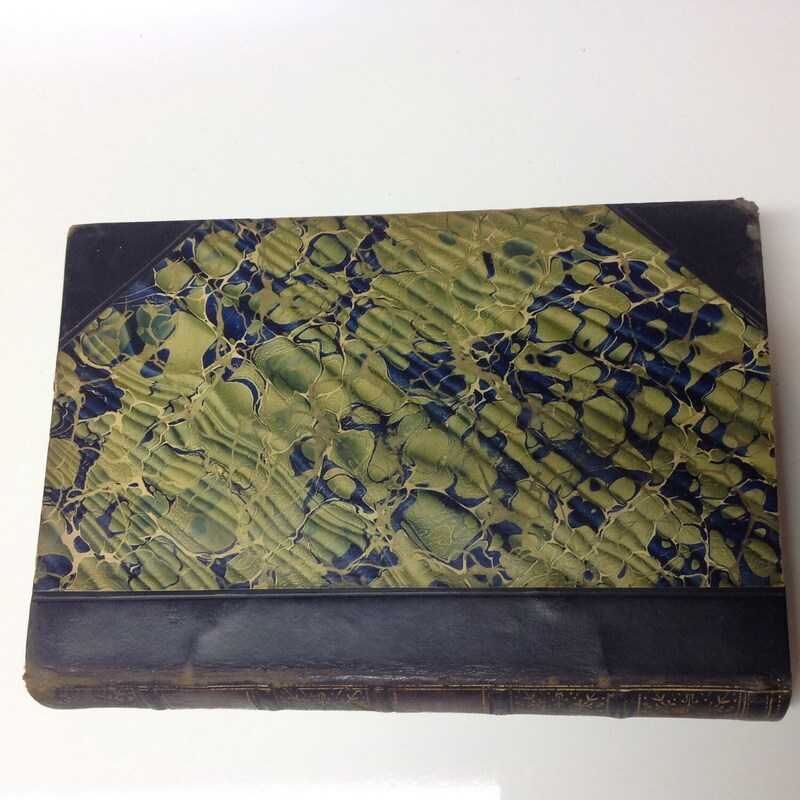 Nice leather spine and vivid green and blue cover marbling as well as endpapers.